It is believed the name Kariba was derived from the indigenous word “Kariva”, which basically refers to a trap or snare. 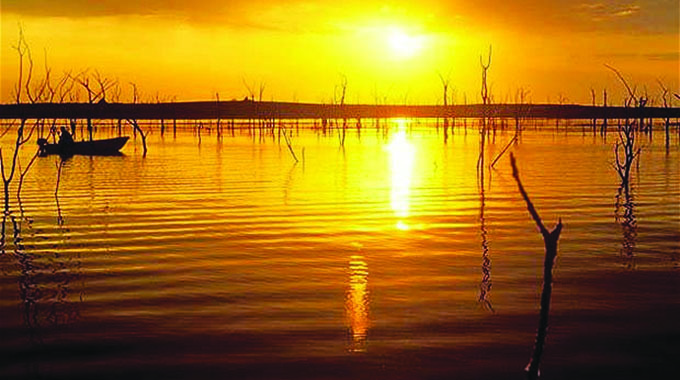 As the name suggests, Kariba, home to the country’s largest man-made lake, has the potential to ensnare you with its charming beauty. The lake is the main attraction in the area and has attracted millions of tourists over the years. During the day, the lake is a massive body of water, going as far as the eye can see, spanning vast kilometres. On a normal day, it serenades tourists with its soft waves and a fine breeze to neutralise the high Kariba temperatures. The place, located along the Zambezi escapement, can be very hot, with temperatures exceeding 40 degrees Celsius, making it imperative for tourists to cool themselves with the breeze from the lake. At night, the lake is totally transformed. Like a city set on a hill top, the lake’s brightness and beauty cannot be concealed. As the sun goes to rest and darkness covers the atmosphere, Lake Kariba transforms into a city, a sea of stars. Night life on the lake is vibrant, a hive of activity, thanks to the main economic activity on the lake — fishing. Most fish farmers operate at night with their fishing rigs, that is when they tend to have a big catch, as opposed to day time. Fishing at night appears to be the norm worldwide. The lights mounted on the fishing rigs eliminate the lake, transforming it into another life as fishermen harvest kapenta fish. According to Quora.com, the reason why fishermen set out at night is because wind is favourable and they reach the fishing point at dawn so that fish come up seeing the light. If the target is to catch fish that is predominantly nocturnal, they fish at night. Bright lights from hundreds, if not thousands of fishing rigs on the lake transforms it into an impeccable city much to the delight of tourists. It gives two options for star gazing for tourists, the first being stars in the sky and those from across the lake, again thanks to the fishermen. But, that’s not all. During day time, isolated fishing boats can be seen on the lake. Once in a while major recreational fishing is done on the lake — the Kariba International Tiger Fishing Tournament (KITFT). It’s classified as sport, fishing for pleasure as opposed to commercial fishing, which is done for profit or subsistence fishing or fishing for survival. This fishing tournament has earned the country hundreds of thousands in foreign currency every October and multitudes convene at the great lake to enjoy. Not for the faint-hearted like this writer….So I will stick to watching and enjoy the beauty of stars from above and those on the waters, thanks to commercial fishing. Is Lake Kariba the biggest man-made lake in the world? When constructed was the largest dam wall and artificial lake in the world, but although record has since been surpassed by others dams, but it is still the world’s largest man-made reservoir by volume, making the Zambezi River home to two world greats — the other being the largest waterfall in the world, the Victoria Falls. Kariba’s reservoir volume is 185 billion m3, the surface area covers about 5500km2, and it extends for more than 280km, with a maximum width of 40km. It is located just about halfway between the source and mouth of the Zambezi River, and is 200km downstream of the Victoria Falls. How big is the Kariba Dam wall? The Kariba Dam has a double-arch wall – curved both vertically and horizontally. It stands 128m high, 617m long and 13m wide at it’s crest, and 24m wide at the base. The wall spans across the Kariba gorge, creating a border crossing between Zimbabwe and Zambia, where people and vehicles can go from one country to the other. When was Lake Kariba built and how long did it take to fill up? Construction on the Kariba Dam wall began in 1955 and was completed in December 1958. Northern Rhodesia (now Zambia) and Southern Rhodesia (Now Zimbabwe) were in need of hydroelectric energy, particularly for the production of copper, especially in Northern Rhodesia where copper was being produced and was in high demand after the second World War. By 1960, Harare, Bulawayo and more towns in the south, as well as towns in Zambia were receiving electricity supplied from Lake Kariba. What Was Lake Kariba’s construction timeline? Just west of Kariba Dam wall is the Matusadona National Park. It has different ecological zone which include the area along the shoreline of Lake Kariba, the Zambezi Valley floor, and the escarpment which is a woodland area. During Operation Noah, much of the rescued wildlife found refuge in this area, and by 1963, Matusadona National Park was declared a game reserve. The rejuvenative grass found along the shoreline is a great source of food for buffalo, kudu, waterbuck, zebra and impala. The healthy population of these and other game makes it a good home for predators such as lion, cheetah and leopard on the land, and crocodile in the shallows of the lake. Like Matobo Hills, Matusadona is an Intensive Protection Zone, being home to relocated black rhino. The easiest way to access the park is by flying to Kariba town or Bumi Hills, then taking a boat into the reserve. Upstream from Matusadona National Park is the Chete Safari Area. This hilly and rocky area is difficult to access by car or game vehicle. Chete is actually a controlled hunting area, done by boat, vehicle and on foot. 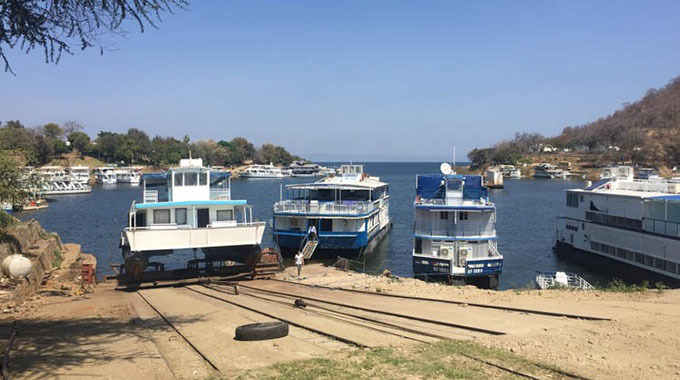 Lake Kariba has several islands both on the Zimbabwean and Zambian side of the border, which make for idyllic getaways, staying at beautiful island lodges or safari camps with vast scenic views of the lake. The islands include Maaze Island (Zambia), Mashape Island (Zambia), Chete Island (Zambia), Sekula (Zambia), Sampa Karuma (Zimbabwe), Fothergill (Zimbabwe), Spurwing (Zimbabwe), Starvation Island (Zimbabwe), Antelope Island (Zimbabwe), Bed Island (Zimbabwe), and Chikanka (Zambia).